Obama Hails "Inspiring" Young Anti-Gun Marchers - Joe.My.God. 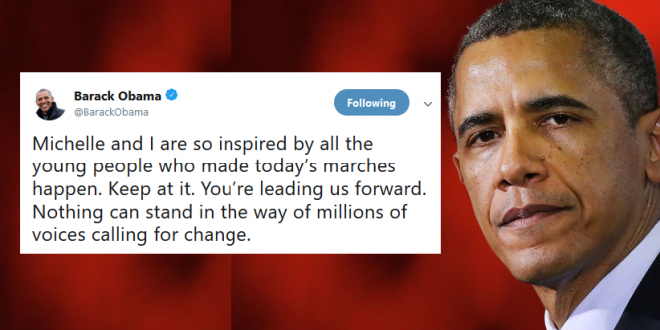 Former President Barack Obama on Saturday tweeted a message of support for the students participating in the March for Our Lives worldwide. Obama tweeted that he and former first lady Michelle Obama are “inspired” by those who organized the marches. Hundreds of thousands of young people gathered for the marches on Saturday, which took place in all 50 states and on six continents.